Hyperbole about New Jurassic Park Film has Started – Which Scary Dinosaur? With a release date for Jurassic Park IV already announced (June 2014) and a director already on board (Colin Trevorrow), it seems that the rumour mill has started in earnest. With some filming having been completed already and more location work in the swamps of Baton Rouge (Louisiana), under way, it seems the question as to which dinosaurs will actually appear in the new feature film has raised its ugly head. The CGI teams are keeping their creations under wraps for the moment, but the new film, the fourth in the Jurassic Park franchise; has some way to go to beat the scary dinosaurs and other prehistoric animals featured in the first three movies. Jurassic Park, released in 1993 had T. rex and the man-sized Velociraptors as the scariest dinosaurs, although a case could be made for the Dilophosaurs and their habit of spitting poison at their victims. We all know that the movie makers departed somewhat from the known fossil record, but the first film was truly scary in parts, with lots of “jump out of your seat moments”. In the sequel, “The Lost World” the T. rex and the raptors were prominent once again. The Tyrannosaur and its baby even made their way to America for the finale of the film. Which New Scary Dinosaur for Jurassic Park IV? Candidates for scary movie dinosaur wanted. For Jurassic Park III, released in 2001, a new super predator was introduced, a Spinosaurus which promptly attacked and killed a T. rex before causing havoc amongst the human actors. Although very few fossils of Spinosaurus have been found, those associated with the holotype having been destroyed in World War II, palaeontologists believe that Spinosaurus may have been the largest, terrestrial carnivore that ever lived. 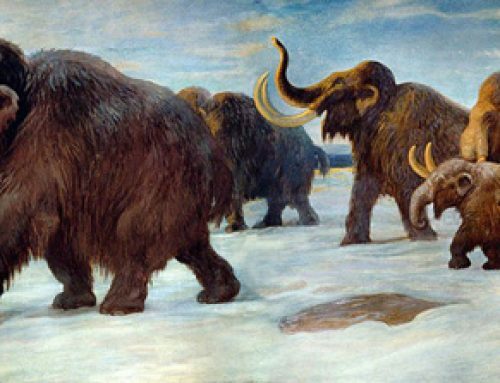 Some scientists estimate that this monster could have been more than seventeen metres in length and weighed more than twenty tonnes. With possibly the largest land living carnivore known to science featuring in the third movie in the franchise, how will Colin Trevorrow and his team trump the previous Jurassic Park outings? In an interview given this week, John (Jack) Horner, one of the palaeontologists that has advised the franchise makers, stated that Jurassic Park IV will feature a new dinosaur species one that is more scary than anything else seen in the previous three films. But which type of dinosaur could the American palaeontologist have been referring to? Since 2001, there have been a number of new Theropod dinosaur discoveries so there are plenty of candidates. Could the new “scary” dinosaur be the man-sized Tyrannosaur known as Raptorex, or could the bizarre Late Cretaceous meat-eater with its double-sickle shaped killing claws known as Balaur bondoc be the new star? With B. bondoc, think Velociraptor but a more robust, heavy-weight version. There are certainly a number of other potential movie monsters in the dinosaur fossil record. Given the liberties taken by the franchise in the past it is difficult to predict what new horrors they may invent. 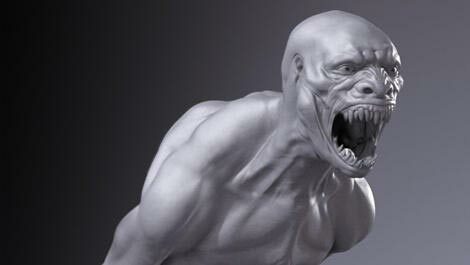 One of the longest and most established rumours concerning the making of a fourth film is that there are going to be dinosaur/human hybrids featured. Drawings of such dino-man creatures were made many years ago and we at Everything Dinosaur have been lucky enough to have seen some of these fearsome creations. Other potential new stars for this fourth film include the likes of Giganotosaurus and Mapusaurus from South America, ow how about the USA’s own home-grown super predator, the Early Cretaceous Acrocanthosaurus (A. atokensis). This hump-backed, fearsome carnivore was probably the apex predator in the southern part of the United States in the Early Cretaceous, there is some evidence to suggest it hunted in packs and the movie series has not featured large Theropods hunting in packs, so why not include some footage in the new movie? Will the USA’s very own Acrocanthosaurus be the New Star? A new dinosaur film star? We would welcome comments and suggestions, we have not touched upon the Ornithischian dinosaurs or considered prehistoric crocodiles, marine reptiles or indeed the Pterosaurs. If you were making a dinosaur film and had to include a scary dinosaur which ones would you choose? I wonder if they are going to have feathers in the movie? Good point, we are hopeful but feathery dinosaurs may not be as scary as ones with scales, we shall do our best to keep up to date with developments and post them up here. Thanks for your input. The director said that there aren’t any feathered dinos in the movie, since it takes place on the original island. Sounds like a ferocious mix, thanks for your input, much appreciated. Therizinosaurus that is mixed with other reptiles much like Carnotaurus and Dilophosaurus were? Or maybe the Carnotaurus itself with its chameleon-like skin it has in the books/games? Anyway I don’t find any dinosaur that scary (horror-movie scary) so i’m rather curious, and isn’t Balaur a mythological dragon with just as much heads as the greek Hydra? I think however it will be a smaller creature that can enter your house, as he stated that you will keep your lights on after seeing this movie, and tyrannosaurus & Co are just to big to scare indoor people, so maybe the most intelligent dinosaur Trooodon is the main villian as it holds the intelligence to be a true bogeyman/monster type of enemy. Balaur is the name of a Romanian mythical creature, we think it is a bit like a dragon, thanks for your comments and the interesting points you make. Thanks for your input, always appreciated. I hope human-dinosaur hybrids are not chosen for the movie. That would instantly turn me off and I would probably not watch it at all. Maybe they could make like a vaccine or something that goes wrong and creates biochemical changes in the dinosaurs and makes them more aggressive / intelligent. Either way, I hope it’s interesting! please no hybrids, we want history, to see the dinos in action for what they were, don’t turn it into an x files episode! would be great to have more prehistoric marine reptiles seriously epic Liopleurodon and uber cool Megalodon, my 10 year old is so excited about the new film and so am I! don’t let us down!! Interesting suggestions, we shall wait and see. maybe too late to the party, but how terrifying would a Sarcosuchus be, that thing can patrol the water while t rex patrols the land, double trouble, and no escapes.